Summer squash produces early in the summer and lasts until the first frost in autumn. Zucchini is a type of summer squash and comes in both the green and yellow varieties, but they are not the only type of summer squash. Other summer squashes include the yellow crookneck and the yellow straight neck,and the pattypan (also know as the scallop squash). Most summer squashes harvest within 50-70 days of planting. Pick summer squash often for continued crop throughout the summer. Plant summer squash a week after all danger of frost is past in the spring. Although some buy summer squash plants, summer squash can quickly grow from seed to harvest in a short period. Summer squash are heavy feeders in the garden so prepare the soil with added extra nitrogen in the form of composted manure or compost where you will plant the summer squash. Avoid planting summer squash near other forms of squash, melons, cucumbers, or pumpkins if you are planning to save seeds. When planting vining types of summer squash three to four feet apart in every direction. Bush types can be planted two to three feet apart. The vines can also be trained to grow up a fence. Provide the seedlings plenty of water throughout the growing season. Do not handle plants when wet to avoid plant diseases such as mildew. 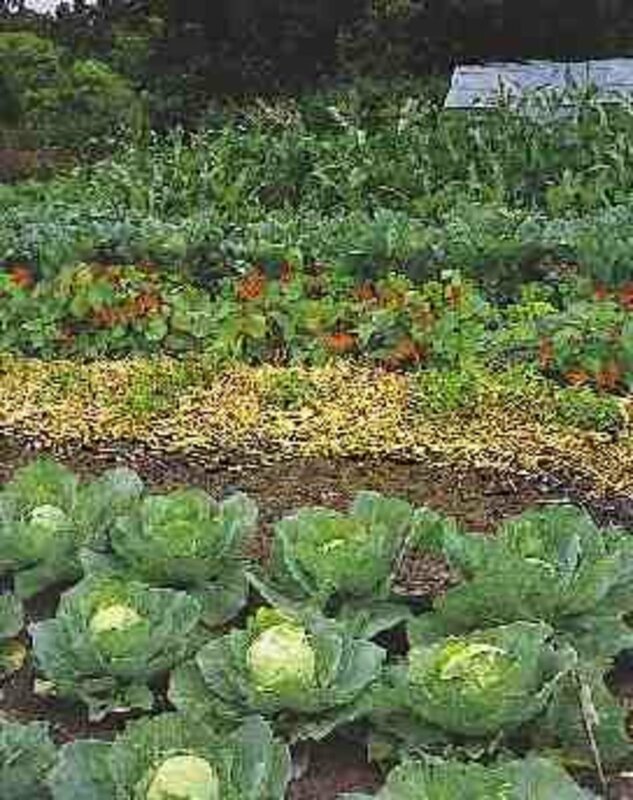 Once plants are established, but before any vining occurs, apply a thick mulch of hay, straw or leaves. Male blossoms will appear in about six weeks after planting followed about a week later by female blooms. If female blooms drop off, fertilization is probably the problem because summer squash depends on bees for fertilization. If problem persists, you may have to hand pollinate. You can do this by taking a soft brush, brushing over the stamen of the male blossom and then brushing the female pistil. If plenty of compost is added to the soil and you are able to keep weeds out of your squash, your squash should remain relatively problem free. Hand pick squash bugs and destroy their red-brown eggs on the underside of leaves. 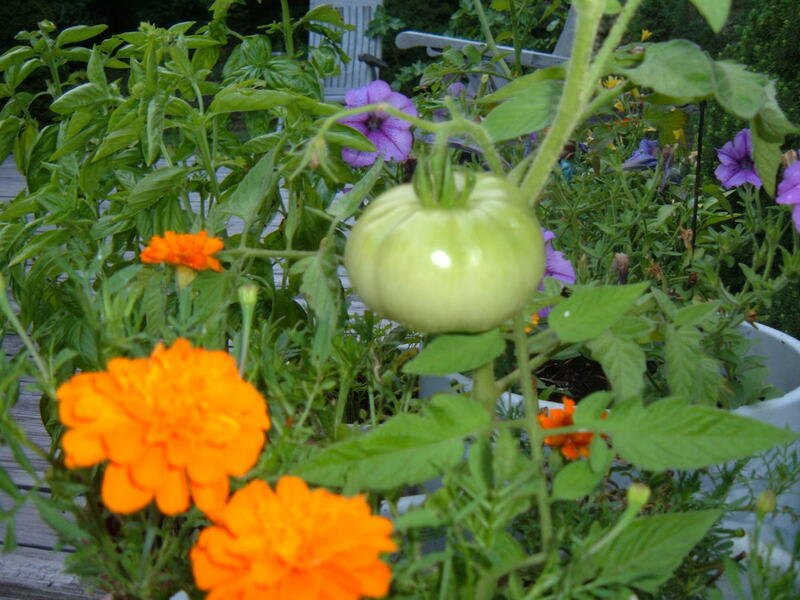 Radishes, nasturtiums and marigolds planted nearby can repel the squash bugs. If cucumber beetles are a problem in your squash, cover with a floating row cover to prevent adult beetles from being able to lay eggs on your summer squash plants. Immediately remove and destroy any plants that look as if they are diseased. Plant two or three radish seeds around each of your summer squash plants and this will help protect the summer squash from insect pests. Allow the radishes to go to seed. 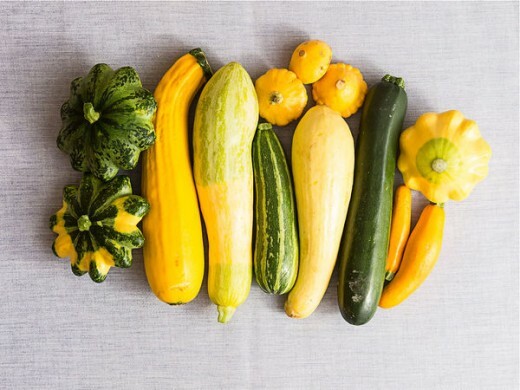 Pick zucchini and crookneck squash when it is six to eight inches in length. Longer and rounder types at four to eight inches in diameter. If you continue to picking these squash throughout the season at this size ( and keep plants watered of course), you have summer squash until frost. The vegetable itself can be served raw in salads and dips.It can also be cooked in various ways. Some of my favorite ways is cut up, steamed with butter and salt and pepper, and batter dipped and deep fried as served like french fries. If summer squash that has grown too large, remove the seeds and stuff and bake. I have enjoyed summer squash during the winter by canning, freezing, pickling or drying it. I also add ground-up summer squash and include it in my cooked down homemade tomato sauce. Easily grow zucchini, one of the most prolific producers of the summer vegetable garden, then save the seed for a sustainable harvest. I would love to know if my techniques work as well for you as they do for me, RTalloni. Let me know how they work for you! This year we are trying the vertical method of growing squash plants. We'll have to see how this goes, but I think I'll be popping in some marigolds around the plants real soon. I am glad you are enjoying the vegetable articles! 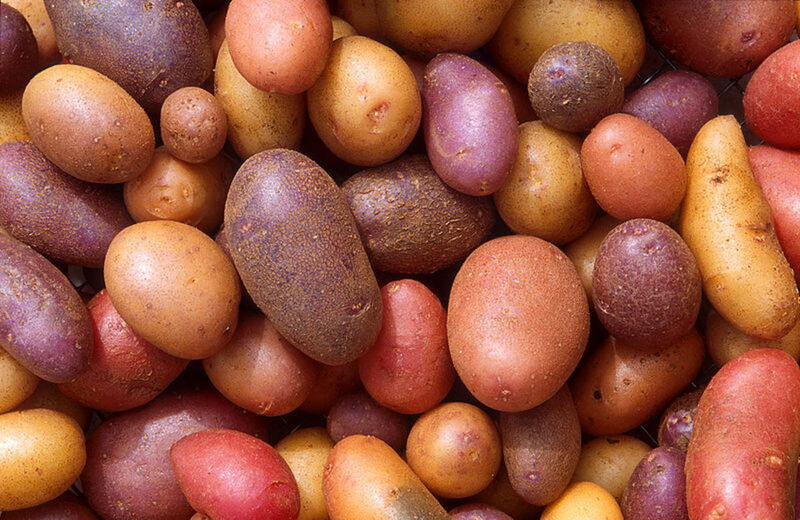 This is another veggie that does well here. Another article for my growing file by Donna. Good info as always.